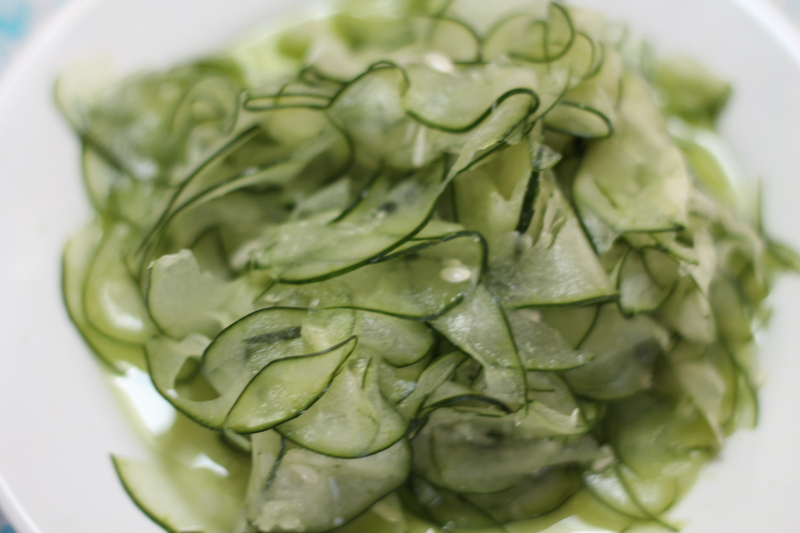 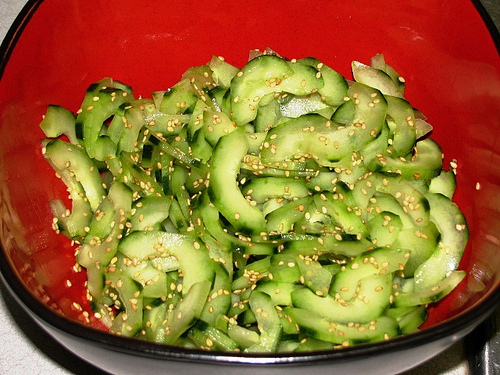 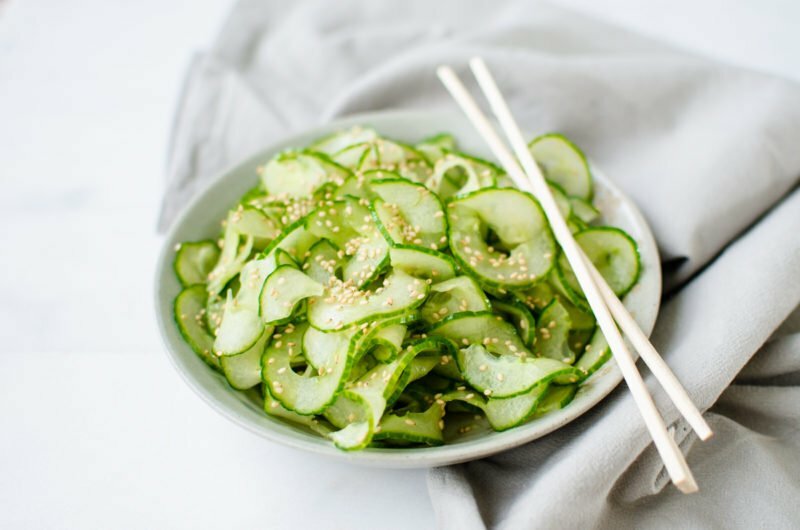 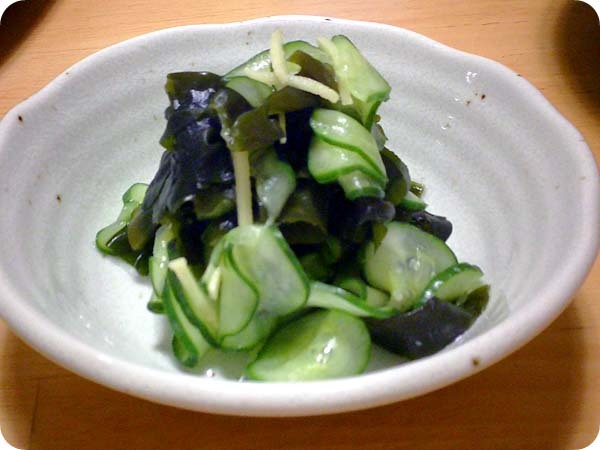 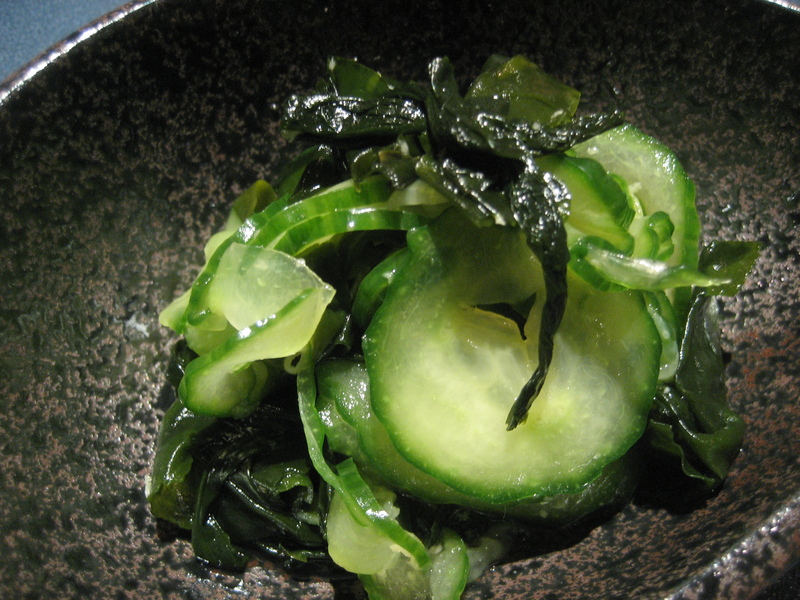 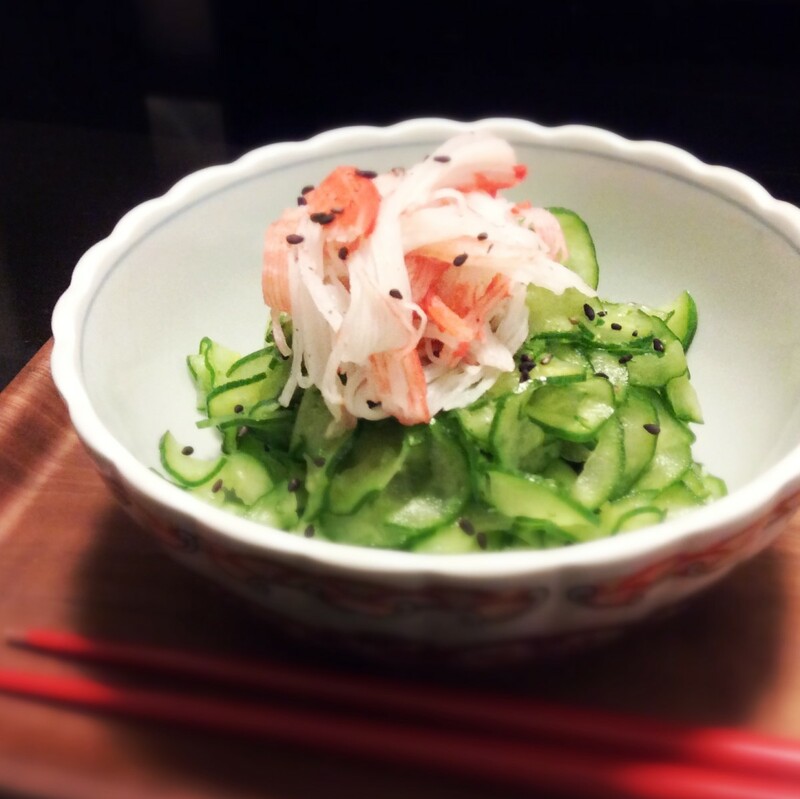 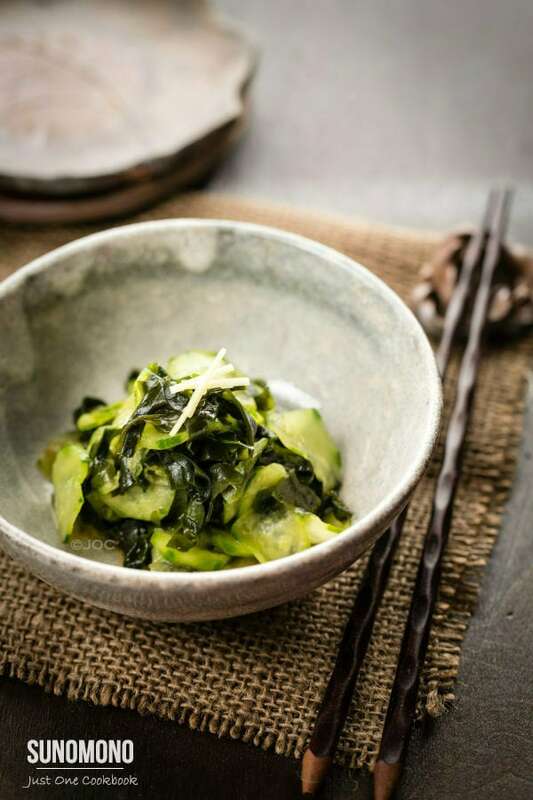 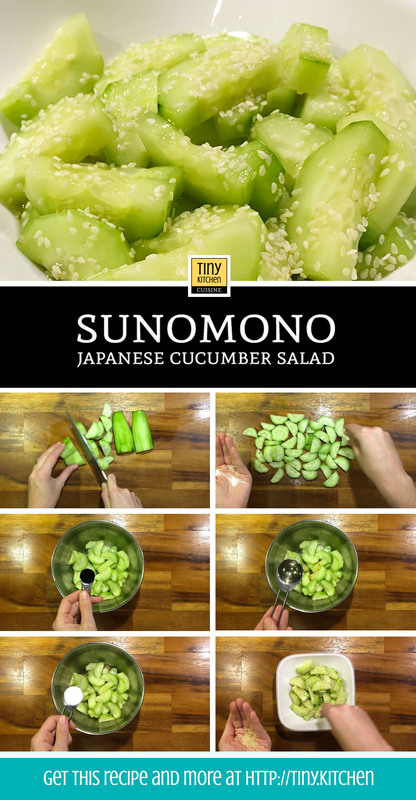 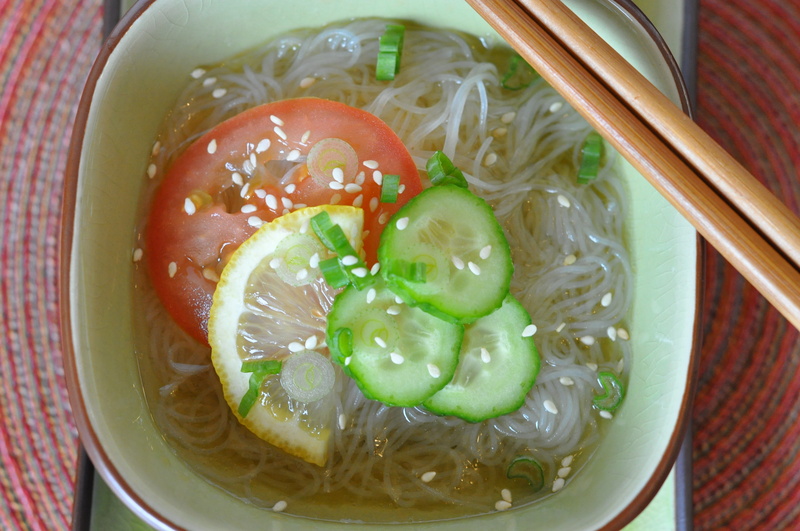 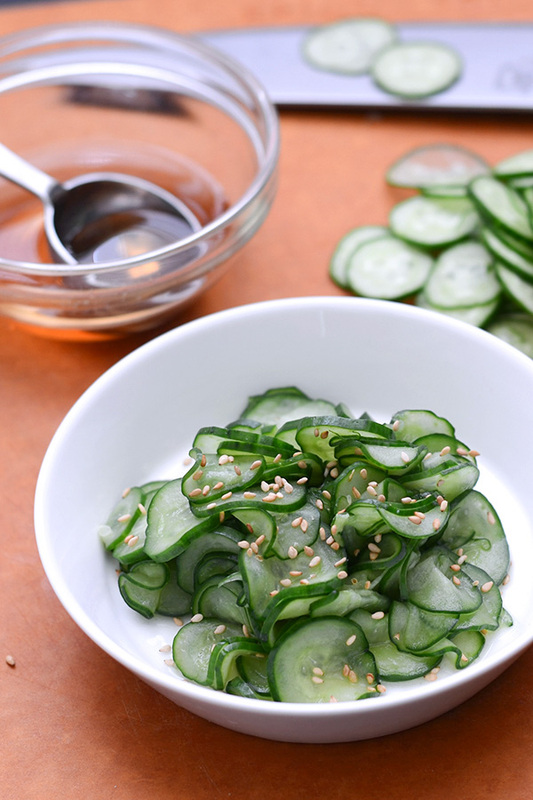 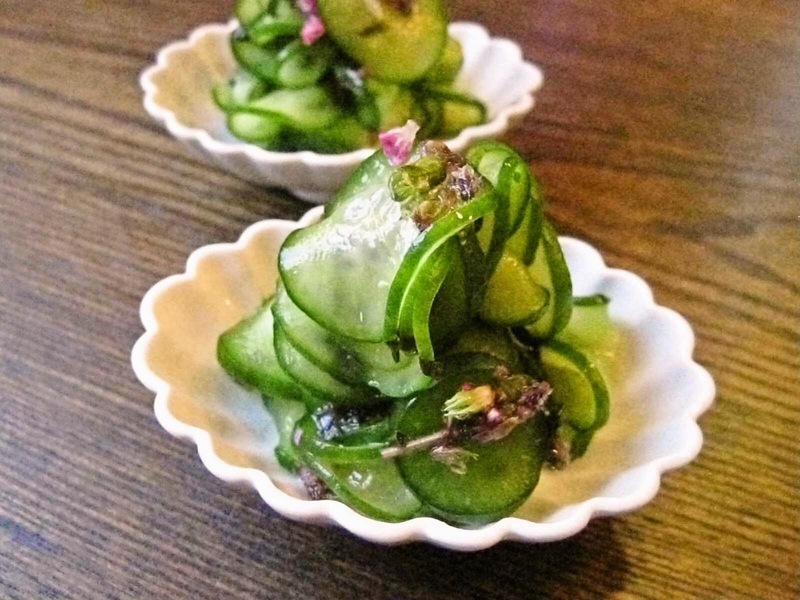 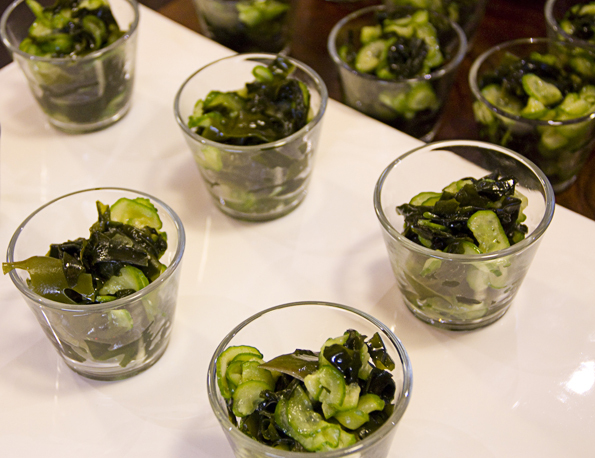 Sunomono and other vinegared salads are related to namasu. 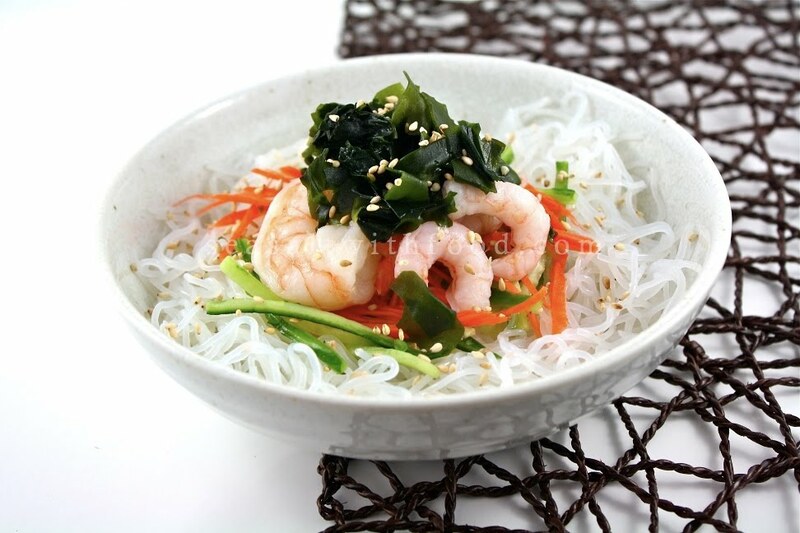 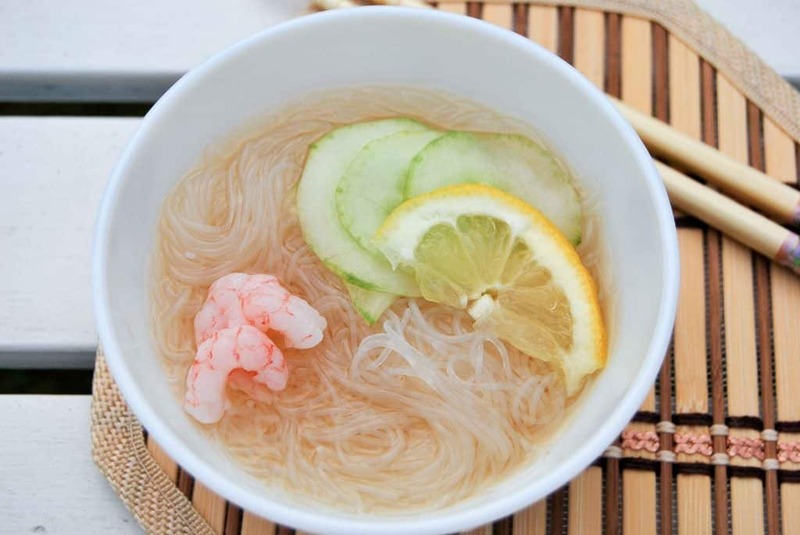 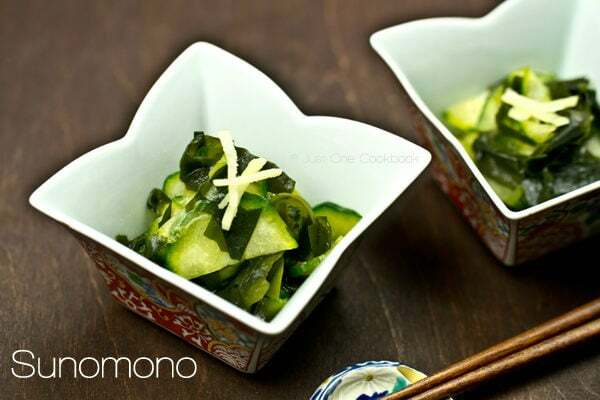 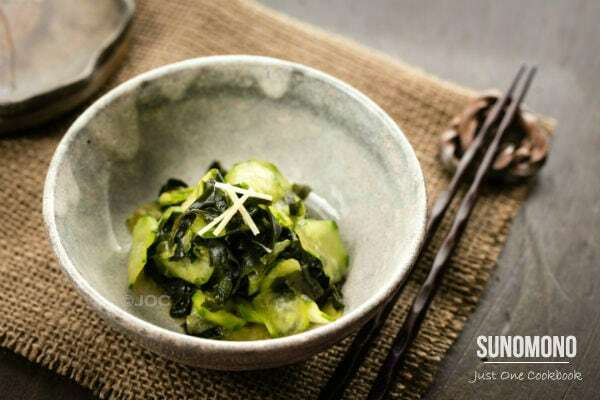 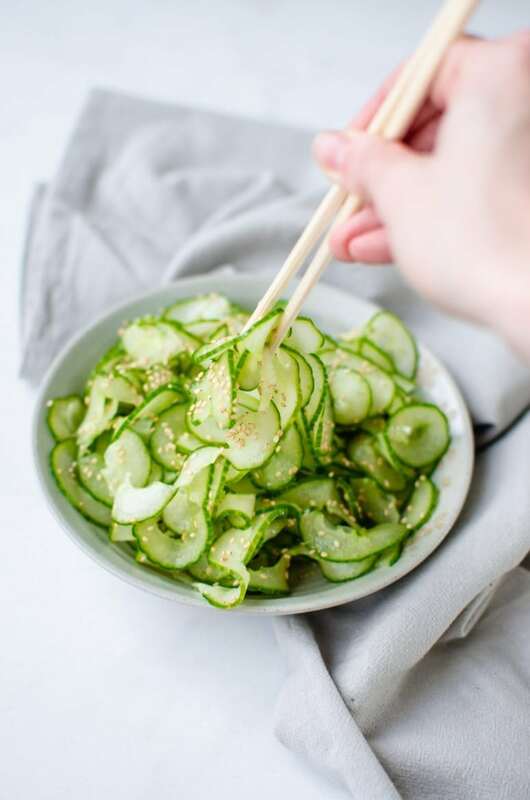 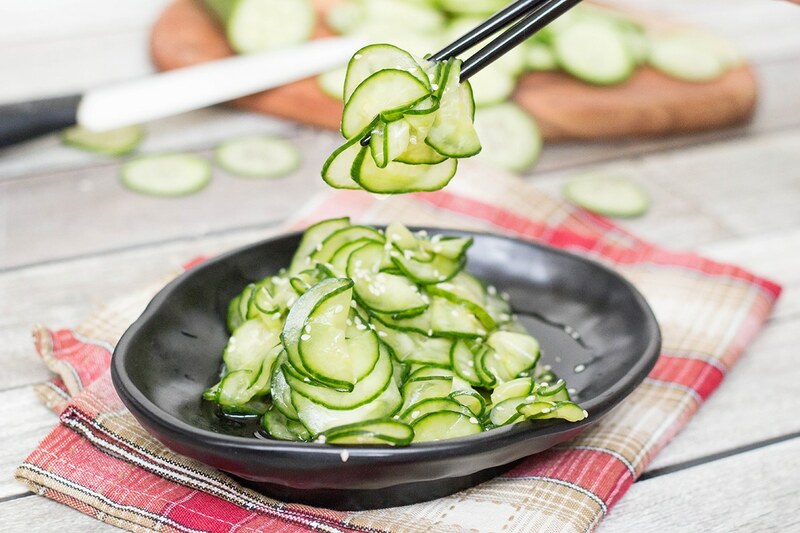 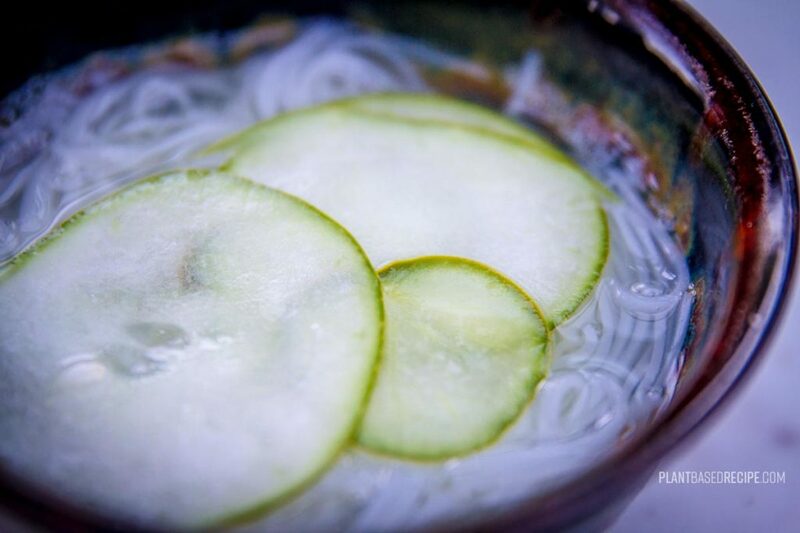 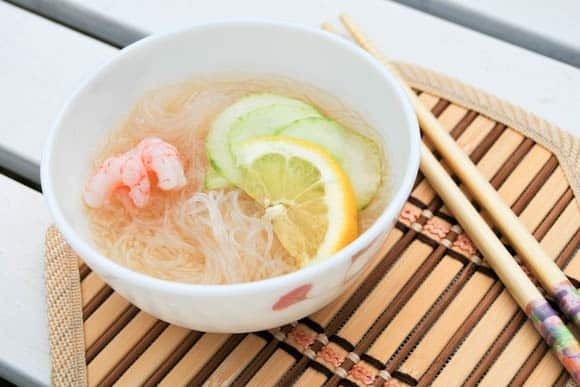 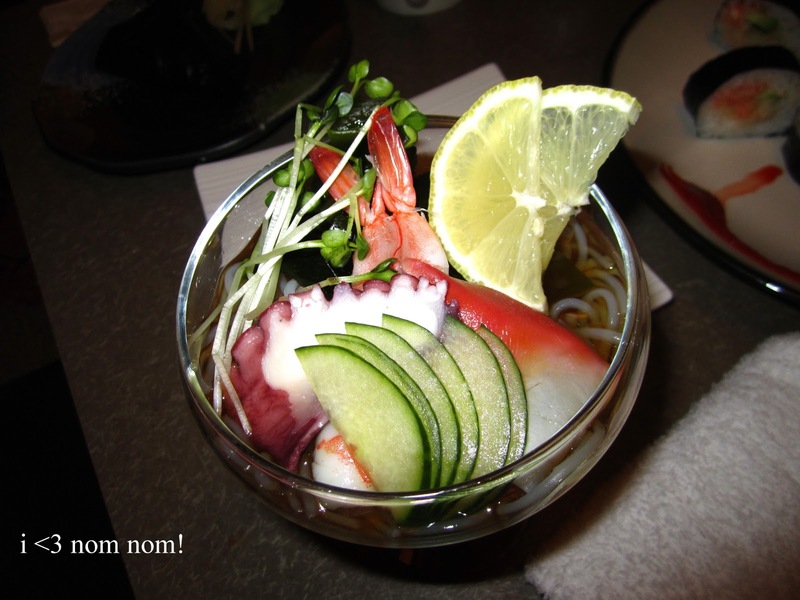 Sunomono dishes are closely related to namasu, which is a Japanese dish consisting of uncooked vegetables or seafood that has been thinly sliced and marinated in su, or vinegar. 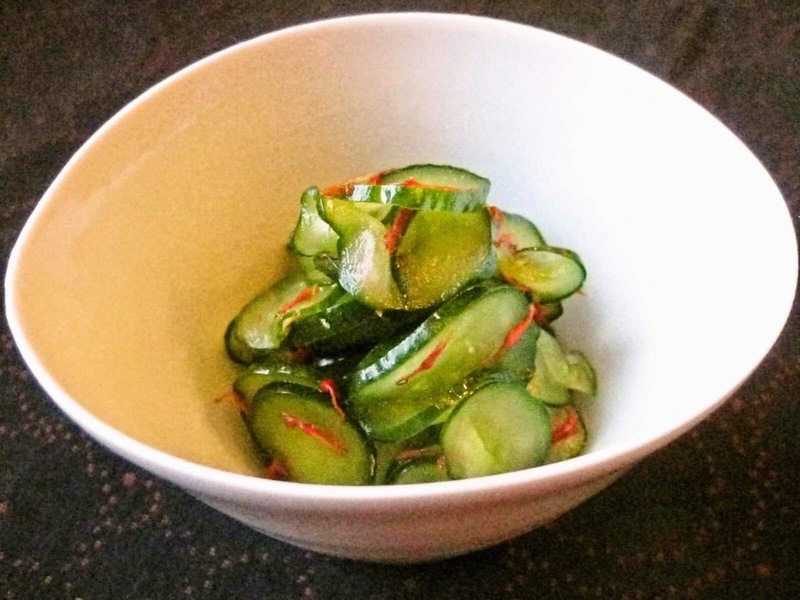 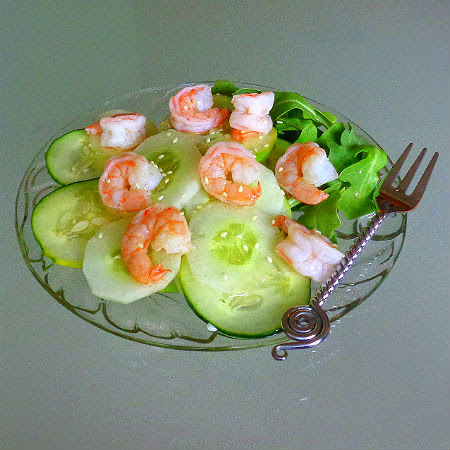 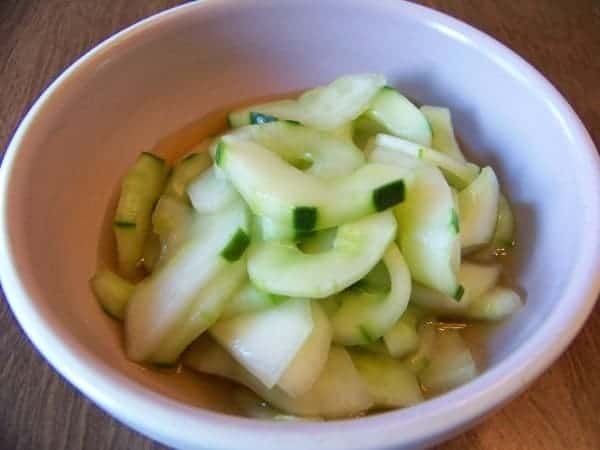 Marinating the foods in vinegar often leaves them with an acidic, pickled taste. 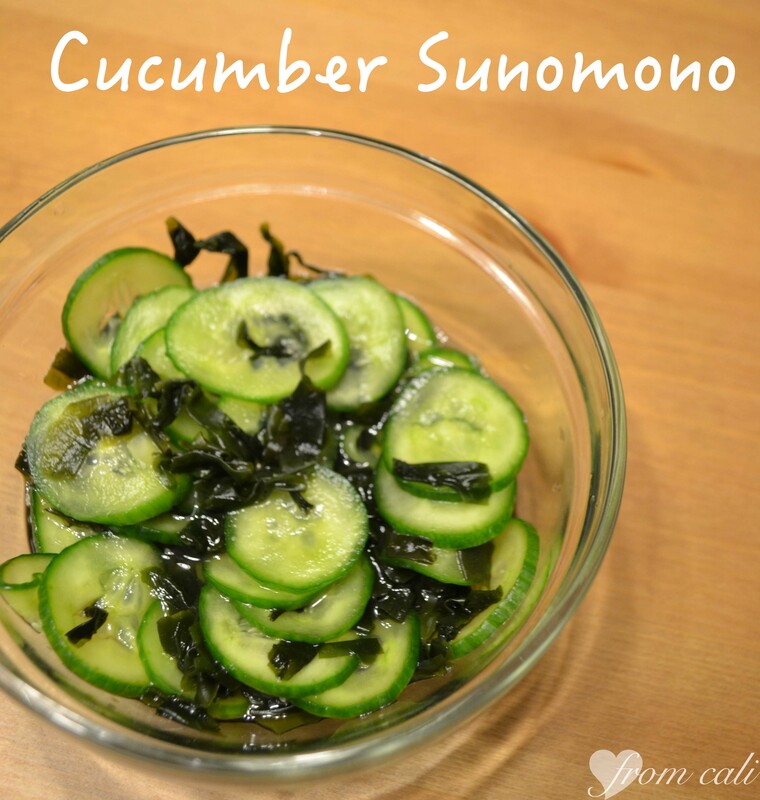 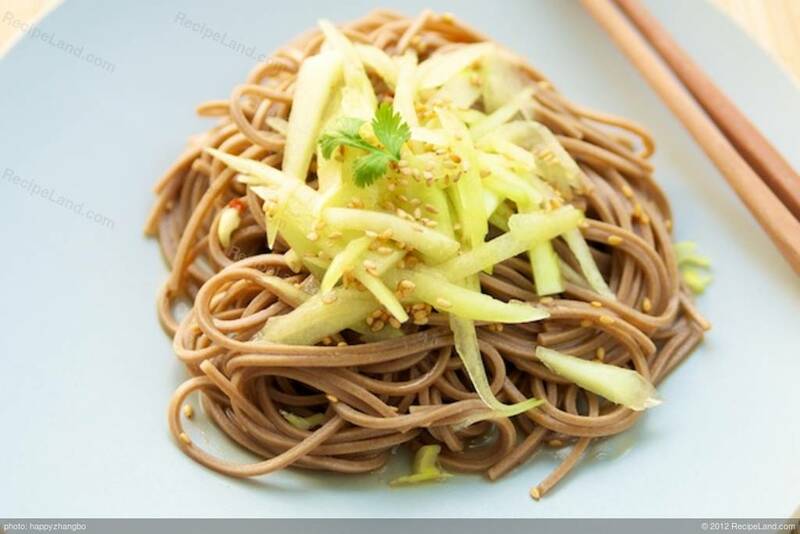 Sunomono refers to food that has been dressed with vinegar, whereas namasu refers to food that has been marinated in vinegar.